Lassletts’s extraordinary achievement is that he manages en detail to fill abstract entities (‘the state’, ‘Australia’) with concrete meaning to show how a localized conflict that started in 1987 turned into a deadly civil war that by its official ‘resolution’ in 2001 had claimed about 20,000 lives and inflicted human and ecological misery on many more humans and parts of the island of Bougainville. At the center of the research is ‘the mine’ and his nuanced account makes it a noteworthy read for those interested in development/ ‘development’, global corporate practices and the close and cozy relationship between state institutions and global capital when seemingly easy revenues can be gained through exploitation of natural resources. Once the conflict broke out, a complex scenario emerged that had very few winners outside the elite military-industrial complex: Out of this counterinsurgency strategy emerged a theatre of war where village was pitted against village, as class, kinship and regional allegiances intermixed in complex and fluid ways (p.14). Call in the midwife of ‘neoliberalism’! Married to (PM) Namaliu’s programme of privatization, public sector cuts, tax holidays, and deregulation was a ‘tough’ law and order agenda (p.68). Perfect ingredients to continue the control of the ‘margins of the (Australian) Empire’. Once the conflict had broken out the core of Lasslett’s study gains momentum: Whether it is the detailed analysis of government documents, memos of the mining company or quotes from interviews with a very broad range of persons involved with all the conflict parties, historical nuances and ethnographic details become visible. Lasslett’s detailed engagement with the developments on the ground, sometimes on a week-by-week basis, means that the reader has a chance to follow how a police operation turned into a nasty civil war. when the Bougainville Revolutionary Army (BRA) started sabotaging mining operations. The mine owner, Bougainville Copper Limited (BCL), did support refugees from the villages once military operations became more frequent and violent, but at the same time paramilitary police, mine security and BCL staff mingled in the dining hall of BCL over lunch. a former BCL official explains. 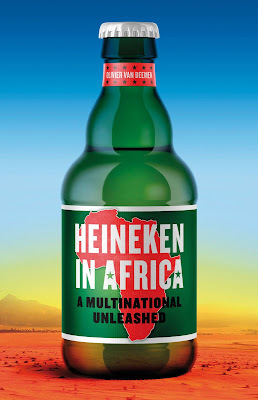 I mean the logistic support that we supplied to the PNGDF during that time was very large and significant, without out support they couldn’t have done what they did…We’d train them at training camps, we’d be supplying them with weapons, we’d supplying them with uniforms, everything. (…) We’d even fly them to Bougainville for God’s sake, so we could facilitate everything (p.122). All of these operational efforts had huge impacts on the civilian population: Amnesty documented bombardments of villages and extra-judicial killings and a humanitarian disaster loomed in the ‘care centers’ for refugees, while not a single BRA leader was captured through any of these operations. As the latter (PNG government) tactics matured, the hostilities escalated; acts of revenge on both sides increasingly embroiled civilians. In the end, this amplification of the conflict and the extreme bitterness it provoked, successfully impeded BRA plans to secede, creating the conditions in which a more prolonged battle for Bougainville could be waged (p.177). I agree with Alex Golub’s review that the level of detail can at times feel a bit overwhelming, but it serves an important purpose for peace, conflict and development enthusiasts who are interested in understanding the ‘black box’ of generic terms such as ‘insurgency’, ‘violent conflict’ or ‘military-industrial complex’. and the ‘rentier state’ PNG relying on mining revenues is a prime example of conflicts that emerge-possible leading to ‘state crimes’, the area of scholarship he and his colleagues have been establishing in the UK . This body of scholarship also stresses that the inquiry is ‘not into the exceptional, but the many ‘others’ of the Empire’ (p.188) and that conflict and violence are not simply deviations from the ‘norm’, but are necessary to maintain core and periphery relationships. One critical effect of this emerging discourse is that is obscures significant criminal dimensions of the war, and the responsibility attributable to key international actors, such as Rio Tinto (via BCL) and the Australian government (p.195). In the end, State Crime on the Margins of the Empire, is a powerful reminder of how valuable qualitative research is in understanding the dynamics of conflict, war and its broader political economy. Lasslett reminds us once again about ‘devils in the detail’ and encourages us to immerse ourselves in the complexities of institutions and structures that enable violent conflict. 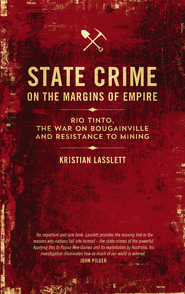 Lasslett, Kristian: State Crime on the Margins of Empire: Rio Tinto, the War on Bougainville and Resistance to Mining. ISBN 978-0-74533-504-9, 256 pages, GBP 21.50, Pluto Press, London, 2014.